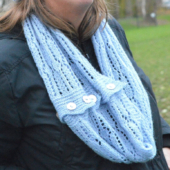 A lovely scarf in a simple and elegant lace repeat pattern, that can easily be transformed into a cowl. 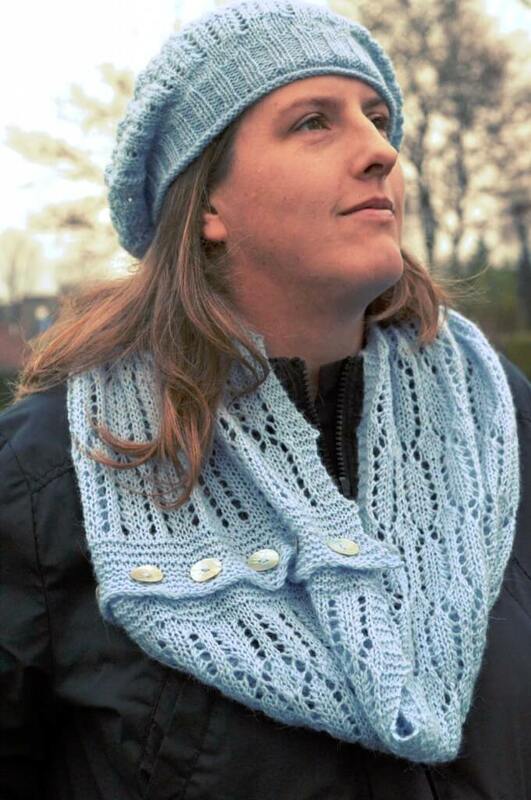 Worked flat, the IJskristal Convertible Cowl/Scarf is available in one size, that can easily be made wider or longer, or both. 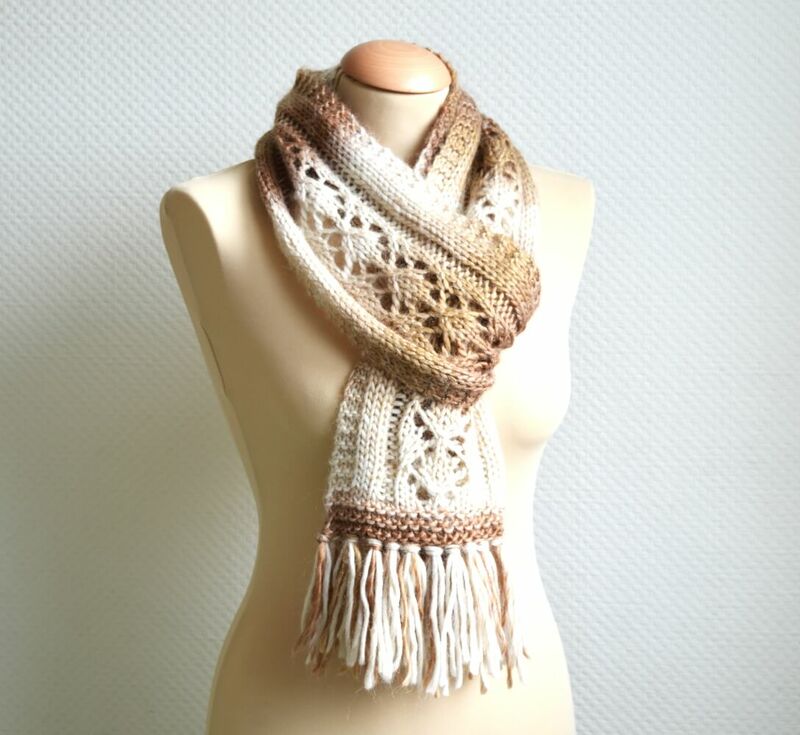 With both written and charted directions for the lace, this convertible scarf knits up like a dream. 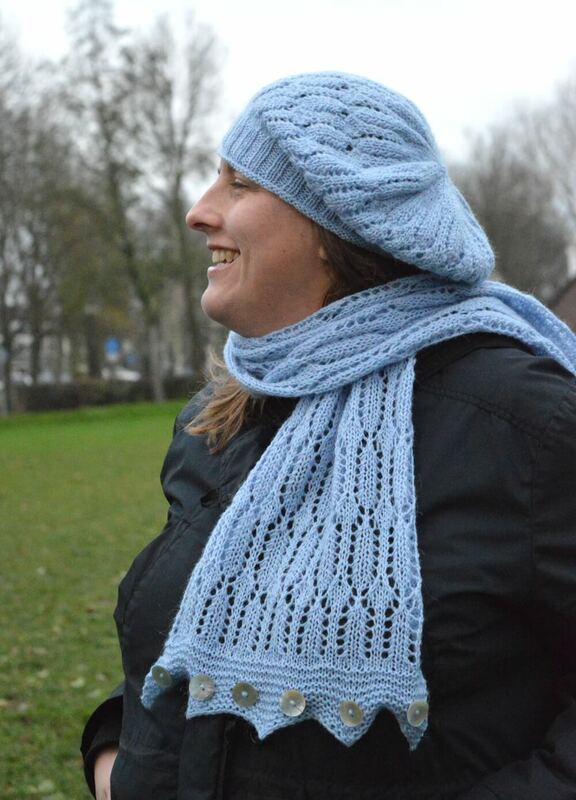 Pair it with the IJskristal Slouchy Hat for a lovely coordinating set. 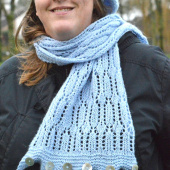 The IJskristal Convertible Cowl/Scarf is worked flat. 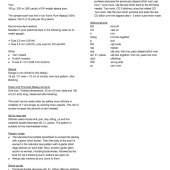 Stitches used include knit, purl, skp, k2tog, yo and the centered double decrease sl2, k1, p2sso. The pattern is suitable for the intermediate knitter. One size – finished dimensions: 23 cm (9 inch) wide and 130 cm (51 inch) long, measured after blocking. Written for a gauge of approx. 19 sts / 21 rows = 10 cm (4 inches) over lace pattern, after blocking. 100 g / 320 m (350 yards) of DK weight alpaca yarn.